The end of the school year is rapidly approaching. In two weeks, we will release one final Standards Team Updates for this school year. In these two final editions, we will provide many opportunities, both for summer and to kick off the 2016-17 school year. 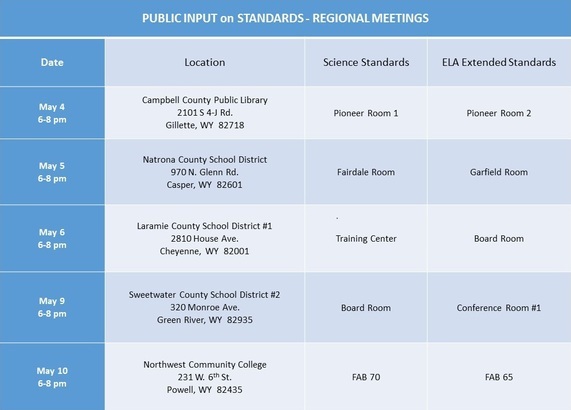 Public input will be collected through online surveys and regional meetings for the State Board of Education to review before making any decisions on whether or not to adopt the recommended changes to the standards. You may review the recommended changes to the K-1 ELA Extended Standards document here. Input on these recommended changes may be given through an online survey through 11:59 pm on May 10, 2016. Click here to give your input. You may review the Proposed Science Standards document here. Input on the Proposed Science Standards may be given through online surveys through 11:59 pm on May 10, 2016. Click here to give your input. 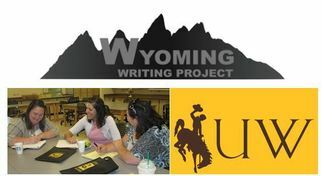 The Wyoming Writing Project (WWP) is hosting a free writing professional development day in three locations around the state. The event is open to K-12 Content Area Teachers, Paraprofessionals, Instructional Facilitators, and Administrators and will include a morning session on practical writing applications for the classroom and an afternoon session to practice the craft of writing. PTSB credit is available. 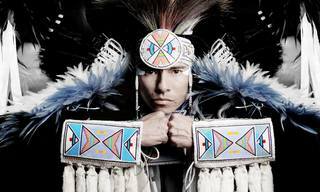 One keynote speaker is Christian Takes Gun Parrish, aka Supaman (pictured), a talented Native American dancer and hip-hop artist who has dedicated his life to empowering youth and educating listeners with a message of hope through culture and music. Another keynote will be Dr. James Loewen, author of Lies My Teacher Told Me: Everything Your American History Textbook Got Wrong. The focus of the conference is to help educators understand the unique needs and challenges of American Indian students and learn skills that improve achievement of at-risk students. In addition, presentations will illuminate the history and culture of Wyoming's two main tribes: the Eastern Shoshone and Northern Arapaho. PTSB credit will be available. 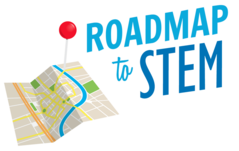 This conference provides practical information about Science, Technology, Engineering, and Math (STEM) program implementation to PreK-16 educators, administrators, curriculum coordinators, afterschool providers, and other professional educators. Conference attendees will engage in hands-on experiences that will prepare them to incorporate STEM principles, lessons, activities, and ideas into their learning environments. Join in to discover the natural wonders, STEM programs and industries, and historical landmarks of Southwest Wyoming. Get ready for a three-day adventure packed with experiential learning opportunities! Attendees have the option to earn PTSB credit, University of Wyoming graduate credit, or STARS credits. The conference registration fee is $50.00 for in-state attendees, and $150.00 for out-of-state attendees. The Wyoming Geographic Alliance is offering a workshop exclusively for HS teachers who are interested in incorporating Geographic Information Science into their Social Science or Natural Science curriculum. Prior to the Workshop, participants complete an ESRI Virtual Campus Course titled, "Learning ArcGIS for Desktop", provided at no charge through the Wyoming Geographic Information Science Center. During the three-day workshop, participants will explore ways to use GIS in the classroom, perform field work using the ArcGIS Collector app, and design their own lessons. Following the workshop, participants will be required to build one full lesson and upload it in to the WGA lesson archive for GIS. PTSB or UW credit will be available. Meals and a $100 stipend will be provided. A $50 deposit if required to hold your spot which will be refunded at the completion of the workshop. Participants may bring their own laptop or use one of the UW laptops during the institute. "National Park, Public Lands, and Wyoming Landscapes"
Learn with four leading scholars associated with public spaces. Investigate issues connected to public lands in Wyoming in conjunction with the Centennial Celebration of the National Park Service. 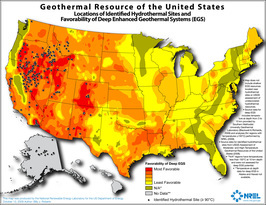 Gain access to Wyoming Geographic Alliance resources and collaborative opportunities. Explore the Library of Congress and local primary source repositories to evaluate maps, census data, photographs, posters, oral histories, newspapers, motion pictures and more. Discover the Wyoming Student Atlas and ways to integrate the maps into curricula. Participants will receive free teaching resources, literacy-based strategies, primary sources, and lessons to actively engage students and align with standards. Limited to 24 participants. PTSB credit or UW credit available. $100 stipend provided to participants to help cover travel costs. Lunch is provided. Additional $150 stipend is available for anyone who hosts a 7-hour workshop about the WGA and TPS @ Library of Congress in their home/district between July 2016 - May 2017. As you begin to plan for the upcoming school year and purchasing new resources and materials, EdReports may be a helpful resource. EdReports.org is an independent nonprofit designed to increase the capacity of teachers, administrators, and leaders to seek, identify, and demand the highest-quality instructional materials. Drawing upon expert educators, EdReports.org provides free evidence-based reviews of instructional materials and support of smart adoption processes. Calling all teachers! If you have a teaching idea or strategy that has been successful for you with your own students, consider sharing this with your fellow teachers across the state at the UW Fall Literacy Conference. 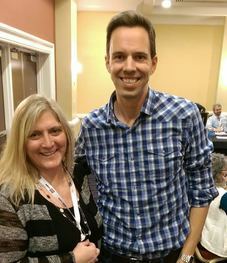 The conference theme is Writers and Writings. Proposals may be on any aspect of writing and writing instruction and should be interactive. Sessions are 50 minutes in length. Keep in mind the intended audience is teachers and other education professionals. Proposals will be blind reviewed. Please submit your proposals here.